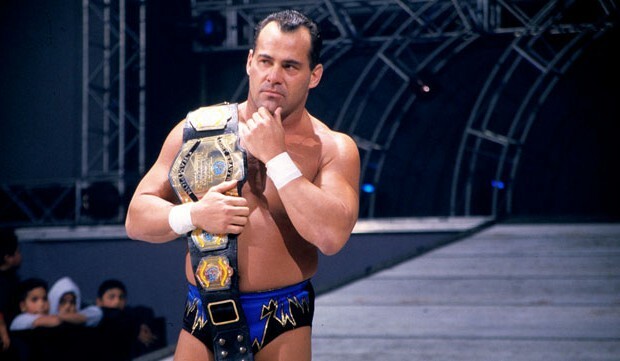 September 11, 1999: Biohazard defeated Rodney Begnaud (Rodney Mack) to win the NWA Texas Heavyweight title..
June 22, 2002 – Ring of Honor: American Dragon defeated Bio-Hazard in Block C of the “Road to the Title” Tournament..
July 27, 2002 – Ring of Honor: Michael Shane & Bio-Hazard defeated Paul London & Don Juan to earn an ROH contract..
August 24, 2002 – Ring of Honor: Michael Shane w/Biohazard defeated Paul London | Biohazard w/Shane defeated Don Juan..
October 5, 2002 – Ring of Honor: Michael Shane & Biohazard aided Steve Corino in beating Rudy Boy in a Texas Death Match..
February 5, 2005–NWA Wildside: Ace Rockwell & Shaun Tempers defeated Biohazard & Rampage..
March 19, 2005–NWA Wildside: Biohazard defeated Mikal Adryan..
June 4, 2005–NWA Anarchy: Brent Silver defeated Biohazard..
June 11, 2005–Pro Wrestling Evolution: Raven defeated Biohazard..
July 9, 2005–Pro Wrestling Evolution: Murder One & Biohazard defeated Tank & Iceberg..
August 6, 2005–NWA Anarchy: Mikal Adryan (Anarchy champion) defeated Biohazard in a non-title match..
March 2, 2006–Deep South Wrestling: “Freakin” Deacon Deville defeated BioHazard..
March 9, 2006–Deep South Wrestling: Biohazard defeated Jacob Ladder (Ladder botched the finish and was busted open)..
March 23, 2006–Deep South Wrestling: Scott Fantastic defeated Biohazard in a dark match..
April 20, 2006–Deep South Wrestling: Roughouse O’Reilly (returns after a 7 week absence) defeated Biohazard..
April 22, 2006–Pro Wrestling Evolution: Kory Chavis defeated Low Ki and Tank and Biohazard in a 4-WAY. 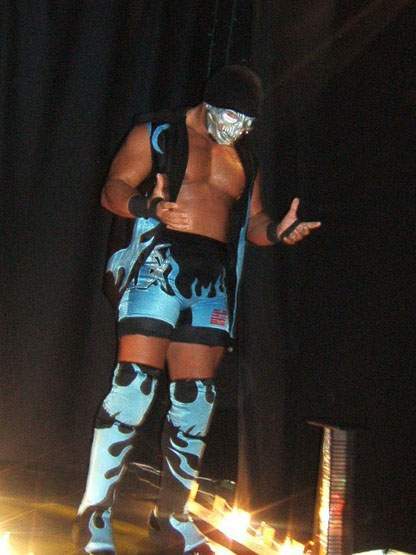 May 4, 2006–Deep South Wrestling: Scott Fantastic defeated Biohazard in a dark match…. May 11, 2006–Deep South Wrestling: Kevin Matthews defeated Biohazard..
May 25, 2006–Deep South Wrestling: Freakin Deacon & Kevin Matthews defeated Francisco Ciatso & Biohazard..
August 10, 2006–Deep South Wrestling: Brian & Brett Majors defeated Francisco Ciatso & Biohazard…. 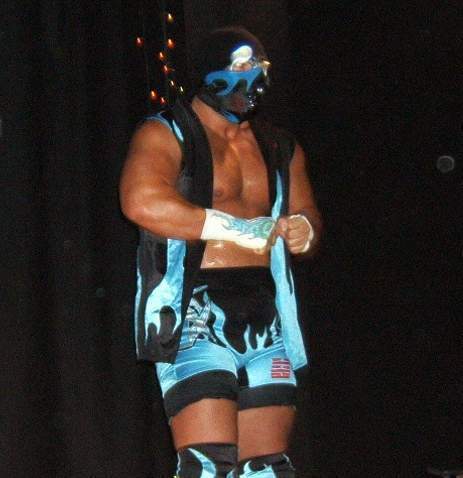 August 17, 2006–Deep South Wrestling: Lawrence Tyler defeated Biohazard in a dark match…. 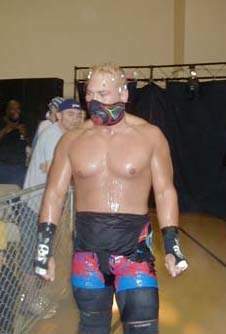 August 24, 2006–Deep South Wrestling: Bradley Jay defeated Biohazard in a dark match……..
August 31, 2006–Deep South Wrestling: Oleg Prudius defeated Biohazard………. September 7, 2006–Deep South Wrestling: Freakin’ Deacon defeated Biohazard in a squash match…..
April 22, 2007–IWA Mid South/ACW: Roderick Strong defeated “Bio-Hazard” Jaykus Plisken in San Antonio, Texas..
April 26, 2007–Booker T’s Pro Wrestling Alliance: Viscera defeated “Biohazard” Jaykus Pliskin..
April 29, 2007–Southern Thunder Pro Wrestling: “Bio-Hazard” Jaykus Plisken defeated Scott Draven..
May 26, 2007–Anarchy Championship Wrestling: Jaykus Plisken defeated “One Man” Mike Dell by DQ..
June 2, 2007–PWF: Biohazard defeated Shawn Mills in Amarillo, Texas..
July 14, 2007–PWF: Biohazard defeated El Gringo by DQ in Amarillo, Texas…. July 28, 2007–PWF: Shawn Sanders defeated Biohazard in Amarillo, Texas..
Not to be confused with the Biohazard that wrestles in Canada under the same name…….